This month I am honored to be a participant in Angel Penn's series on Biblical Women of Influence. Her story is told in John 8:1-11 – the woman taken in the very act of adultery. ‘An adulteress! How is she a Biblical woman of influence?’ you may ask. Let’s imagine it together: Jesus was teaching in the temple in front of a large crowd when there’s an uproar. A woman is forcibly brought to stand in front of him by a mob. For modesty’s sake she’s wrapped up in bed linens – linens that are dirty and tangled around her feet. “This woman was caught in the act of adultery.” the scribes and Pharisees declare. “What do you think we should do with her?” they ask. To understand what’s happening here we have to go back a few hundred years. Back to the time when Moses was still alive, just after the children of Israel had been delivered from the land of Egypt. They were taken from a culture where “open relationships” were the norm. It was okay for a married man to sleep with a woman other than his wife. It was accepted that sometimes a married woman would sleep with a man who was not her husband. A short time later God revisits the topic of adultery: “I don’t think I said enough about it last time. He who commits adultery: the adulterer and the adulteress – both shall be put to death (Leviticus 20:10).” The death penalty at that time was executed by stoning. Fast-forward to the woman in the temple. Put yourself in her shoes for a moment. The words “caught in the very act” echo in her mind. “But I wasn’t alone! Where’s -?" 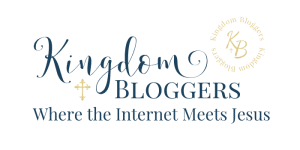 To read the rest of this post join me on the Experience His Freedom blog where I am participating in the Biblical Woman of Influence series.